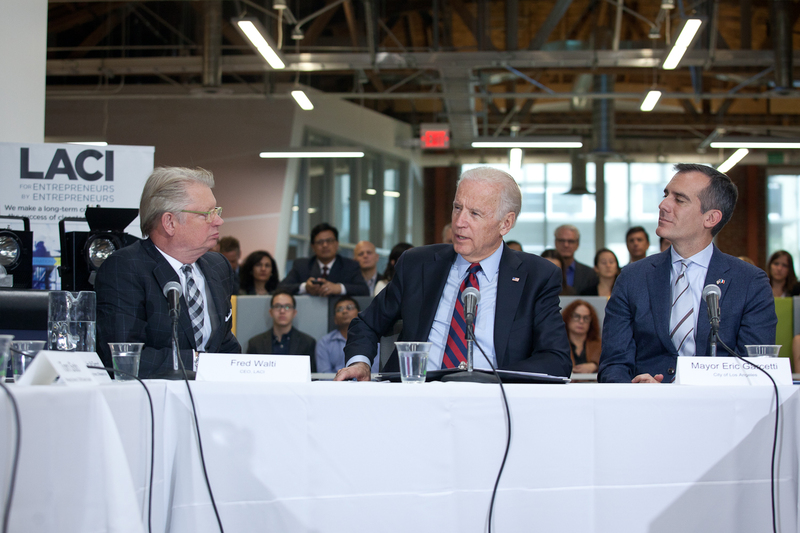 LACI CEO Fred Walti, Vice President of the United States Joe Biden and L.A. Mayor Eric Garcetti during a panel discussion on clean technology at the new LACI workspace in the Arts District of Downtown L.A. Photo courtesy LACI. 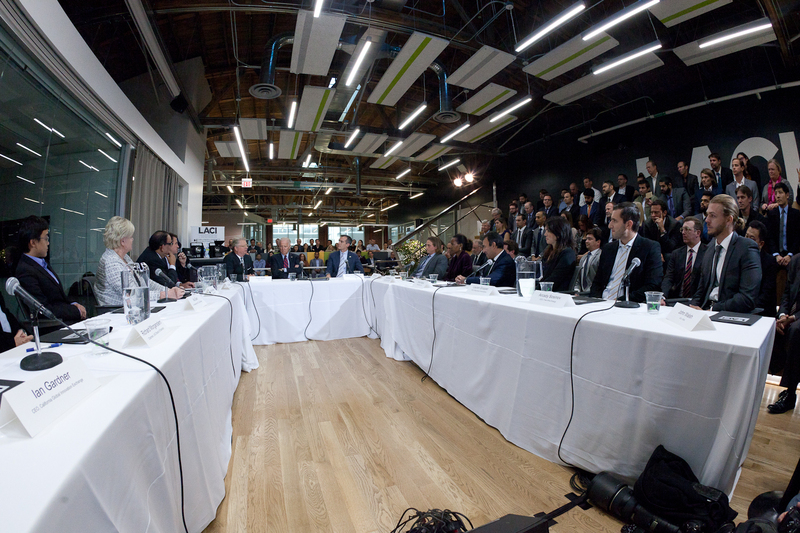 Vice President of the United States Joe Biden and Los Angeles Mayor Eric Garcetti lead a panel in discussion of clean technology at the new LACI workspace in the Arts District of downtown L.A. Photo courtesy LACI. Showing remarkable growth barely four years after its inception, the Los Angeles Cleantech Incubator (LACI) recently was ranked third by UBI Global on its list of World Top University Associated Business Incubators for 2015. This is the second consecutive year that LACI has been ranked in the top 10, rising from its No. 6 ranking in 2014. That same year, California State University, Northridge began a partnership with LACI, called LACI@CSUN. In the short time since the partnership’s creation, six companies have been launched. In all, more than 40 companies have been started with LACI, generating more than $60 million in revenue and 700 jobs. The UBI Global recognition is prestigious in that more than 1,200 business incubators across 67 countries were considered for the rankings. Only two of the top 10 companies in the UBI rankings are in the United States. Organizers said they plan to expand the reach of the LACI@CSUN partnership across campus by promoting entrepreneurship. There are upcoming events during the spring 2016 semester such as the Bull Ring and AppJam. Bull Ring is similar to the ABC show Shark Tank, where budding entrepreneurs pitch their ideas to successful alumni, including David Nazarian ’82 (Business), the founder and CEO of Nimes Capital. AppJam is an event where students develop and present apps in hopes of having them adopted for mass use. Steeb said the goal is to encourage students to pitch their ideas and build their own businesses — to create their own destinies. Please visit LACI@CSUN for more information.